The goal of the Global Health Training Program of the Peeke School of Christian Mission at King College is to equip Christian health and development professionals to practice medicine, community health, and community development from a global Christian perspective. Elim Bible Institute has been preparing students for end time ministry for 4 generations. Its new 2-year program in Missions and International Community Health trains students to minister spiritually and physically across cultural lines as Health Missionaries in developing countries. Roberts Wesleyan College is a community of learners committed to historic Christianity, that seeks to prepare thoughtful, spiritually mature, service-oriented people who will help transform society. The core values of the School of Nursing include the assumption that individuals are wholistic, unique, integrated beings created by God with spiritual, physical, psychological, and socio-cultural elements. 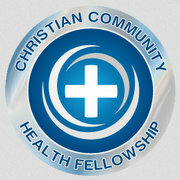 Medical Center Christian Fellowship, along with its community counterpart the Greater Rochester Medical Community Christian Fellowship, is an association of Christian health professionals, primarily medical students and physicians, who gather periodically for fellowship, teaching, and prayer. His Branches is a cross-denominational ministry with the call to “bring hope, healing and restoration to a broken and divided world” by teaming whole person medical care with compatible social and economic ministries in reaching out to serve communities in need. The Center for Christian Social Ministry is a consultative outreach of Roberts Wesleyan College established to help churches and faith-based ministries acquire the skills and capacity to address the complexity of social service needs faced by families in the community. This activity has been planned in accordance with the Essential Areas and Policies of the Accreditation Council for Continuing Medical Education (ACCME) through the joint sponsorship of the Christian Medical & Dental Associations (CMDA), and the Global Health Training Program. CMDA is accredited by the ACCME to provide continuing medical education for physicians. Approval has been granted through CMDA to designate this educational activity for a maximum of 21 hours of Category 1 credit toward the AMA Physician’s Recognition Award. Each physician should claim only those hours of credit that he/she actually spent in the educational activity.